Pioneer Property, established in 2004, is English owned Investment and Real Estate company based on the Sinai Peninsula in eastern Egypt. The company’s Head Office is located in Sharm El Sheikh and has five offices in key locations along the coast. 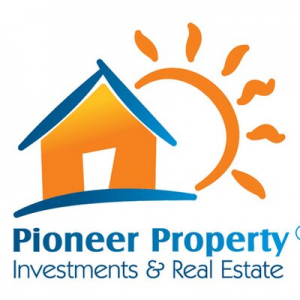 Pioneer Property is recognized as the leading real estate company in the Sharm El Sheikh area, and with multilingual staff and an international sales team has built an excellent reputation with investors from around the world and locally in Egypt. The focus of their experienced management team is on the sale and rental of quality residential apartments and villas, as completed units or as off-plan investments within exclusive resort developments. Their growth in sales is impressive and reflects the tremendous level of interest in Sharm El Sheikh. Our aim is to provide a professional service whether you are buying or renting a home, selling or leasing your property or simply looking for a great investment. We understand the difficulties faced when wishing to purchase property abroad or re-locate your business and we are committed to making the process as smooth as possible. Pioneer Property offer a choice of distinctive property and cost options, where your clients can purchase a ‘dream home in the sun’ or simply as an ‘investment’ opportunity in one of the world’s most popular tourist destinations. Pioneer Property developments are located in the Sharm El Sheikh area, a region that has rapidly become a ‘heaven’ for sun lovers, water sport enthusiasts, divers and history and cultural enthusiasts alike. It has some of the best dive sites in the world which has attracted divers to the region for decades. Excellent beaches abound all along the coast. Indeed the Sinai Peninsula has everything! Marvelous geographical and ecological features together with thousands of years of history and culture.